Listen in to another special archive edition of the Show, as I talk with the fascinating and inspirational author and scientist Dr. Temple Grandin. 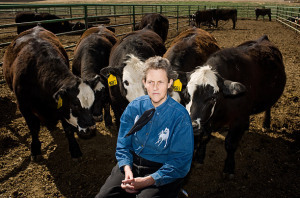 Grandin, professor of Animal Science at Colorado State University and a consultant on animal behavior to the livestock industry, talks about her 2013 book The Autistic Brain: Thinking Across the Spectrum. She offers her unique perspective on autism, agriculture, and creativity.